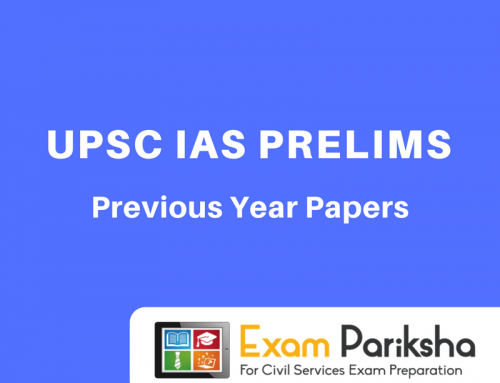 It’s absolute necessary to know how UPSC has framed question the past for civil services exam to know what to expect and what to read for this year’s paper. UPSC mains is all about writing and nothing gets you in practice than some previous year papers from UPSC itself. Practising old papers can give you a fair idea of the level of questions asked and you can adjust the depth of your studies according to that. You MUST practice questions from at least 4-5 years’ previous year papers for Civil Services Mains Exam. Experts and toppers unanimously agree that it’s crucial to solve old papers to build confidence in your preparation and to evaluate your shortcoming well before the main exam. Really this questions paper is very useful for upsc students. Thank you. Doing a great job. This is very usefull to this exam. Plz give some tips for art of answer writing in management optional… No site is giving that.. No videos are there for any management classes… Plz add it.. It is very hellpful for all upsc candidates.